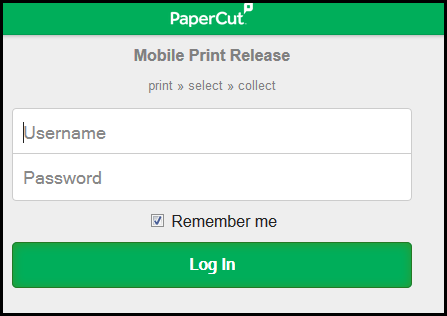 Instructions for releasing a print job to a campus computer using the mobile release portal. This method can be used on an Internet connected mobile device or from a campus workstation. 1. Open a web browser and navigate to https://campus.uwplatt.edu/go/release . 2. Log in with your UW-Platteville NetID and password. 3. 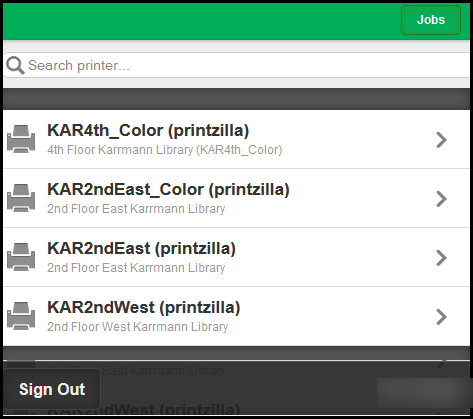 Select the printer that your print job was sent to by using the Search printer... feature or scrolling through the printer list. 4. 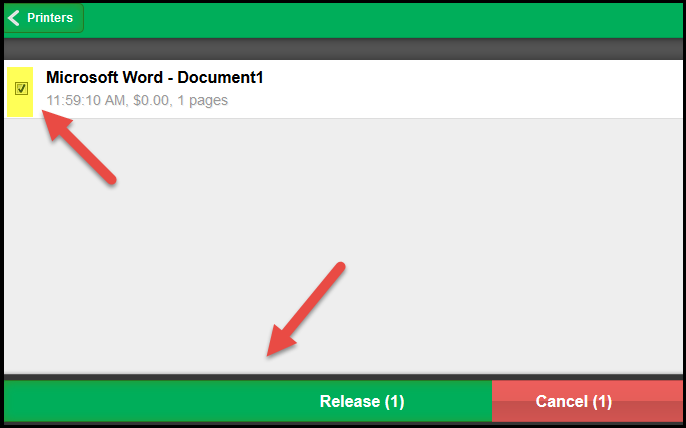 Select the document by checking the associated box. Then click the Release button. 5. Your print job will be released from the print queue and start printing.